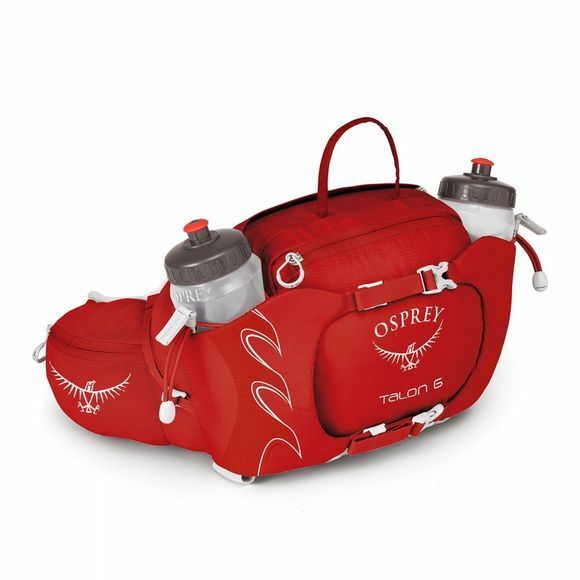 Part of Osprey's new range for 2017, the Talon 6 Lumbar Pack is a great option for stashing essentials securely so you can concentrate on making swift progress on beating your personal best. It comes supplied with two BPA free Hydraulics bottles, each with a capacity of 570ml, so you can maintain good hydration on the go. 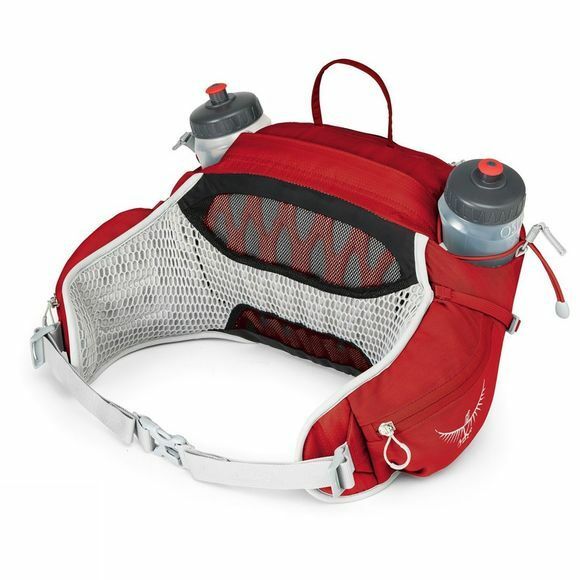 The AirScape mesh covered accordion back panel and seamless lumbar to hipbelt body wrap ensures excellent comfort while the StraightJacket compression straps help to keep everything in place as you bounce around.